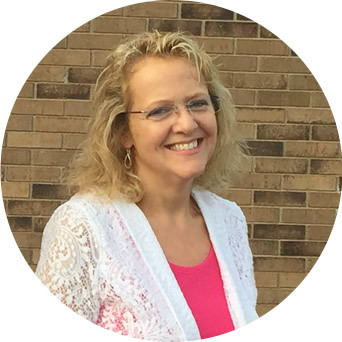 Bonnie Tuomala is the owner of EMS Billing Management and has more than 20 years of experience in the EMS field. 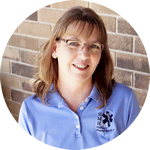 Bonnie works with ambulance services and fire departments all over the United States. She provides services to her clients in several ways, from documentation training to complete restructuring of their billing processes. She is a leader in tackling issues related to NEMSIS state reporting and 5010 electronic billing. 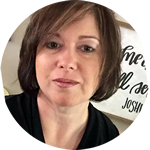 She is an advanced instructor for TriTech Software Systems, providing software training and speaking at national events and user group trainings. Bonnie has had the opportunity to work directly with the law firm Page, Wolfberg and Wirth, LLC as a contracted Medicare claims reviewer and compliance auditor. EMS Billing Management is an industry leading highly efficient ambulance billing, consulting, and training service. We provide high quality services while treating our clients and patients with dignity and respect. We are committed to integrity in every aspect of our work. We use consistent claim follow-up processes to assure all claims are paid timely. We work with our clients to communicate potential compliance issues or areas for improvement. EMS Billing Management understands that patient responsible balances are higher than ever. Time and attention is paid to private pay accounts. Our goal is to be as helpful as possible to assist patients in understanding and resolving account balances. Our sophisticated billing software has been setup for maximum efficiency by the most advanced, highly trained ambulance billing experts. Collection rates and billing revenue often increase significantly due to efficient billing processes, reconciliation, and regular follow-up on unpaid accounts. EMS Billing Management has a staff of ambulance coders certified by the National Academy of Ambulance Coding. We understand training and education is essential to keep up to date with constant changing Medicare rules and regulations. We currently provide billing and consulting services to dozens of ambulance companies in over 13 states. Our billing team has over 35 years of combined experience in ambulance billing. We understand the importance of reconciliation and cross-checks. We offer balancing reports for deposit records, accounts receivable, and verification that all trip reports were accurately and efficiently billed. We firmly believe our dedicated service, experience, and professional handling of your accounts receivable will result in higher collection rates and increased ambulance billing revenue. EMS Billing Management, LLC was founded in 2006 by Bonnie Tuomala. The company is headquartered in Neosho, Missouri. For many years EMS Billing Management focused on consulting and training; specializing in Medicare compliance audits, efficient billing processes, and management report training. In 2008 the company began doing temporary sub-contracted billing services for EMS agencies that did in-house billing but were short staffed. This went on to expand to contracting with billing companies who were short staffed. We have gained experience working side-by-side with the best and most efficient EMS agencies and billing companies who specialize in EMS billing. We use advanced technology and web-based programs to be productive and efficient.